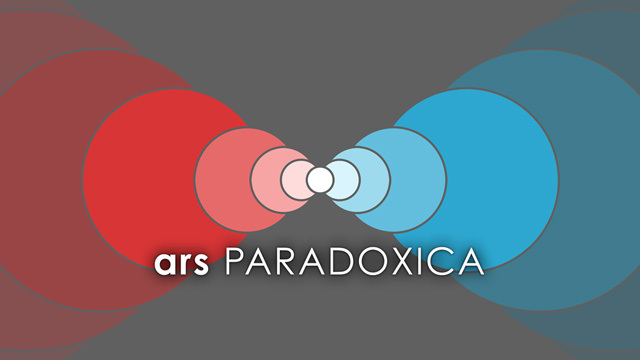 ars Paradoxica Review | Warped Factor - Words in the Key of Geek. Matthew Kresal discovers a love letter to physics, fiction, and the future. ars Paradoxica is the self described “best found-footage Cold War time travel tragedy podcast on the entire Internet,” which is a nice summing up of what it is. On the surface, it's the story of scientist Sally Grissom (Kristen DiMercurio) who is transported back from 20[REDACTED] to 1943 thanks to a combination of her own non-time travel experiment and the Philadelphia Experiment. Trapped in 1943 in the middle of the Second World War, Grissom is recruited by William “Bill” Donovan to work with ODAR (the Office of Developed Anomalous Resources) to help win the war. From there, the series becomes an increasingly tangled web as the Timepiece (the device Sally brought brought back with her, as it comes to be known) is developed and a world war gives way to the Cold War with shifting allegiances. Now with sixteen released episodes at the time of writing, the series has made for interesting listening. Creators Daniel Manning and Mischa Stanton have managed to mix-together real history and science together with fictional elements into a time travel/thriller package quite unlike anything else out there at the moment. As a history buff and student of Cold War, there are little references and Easter Eggs that make the series interesting listening, with occasional cameos and plot points that echo real events. The focus on the fictional ODAR might even be seen as a fictional allegory for organizations like the CIA and NSA who were born out of the same period only to become the large and slightly menacing agencies that we know today. Yet episodes in the second season have hinted at a larger picture closer to our time which is something that seems set to develop in future episodes. Beyond that, they've also managed (along with their writers) to create a believable basis for time travel in the 1940s-50s. For those like myself used to things like Doctor Who were the rules are never quite set in stone, ars Paradoxica and its established rules on how time travel can and can not happen has felt like a breath of fresh air. Not only that but Manning and Stanton clearly know their time travel sci-fi tropes (they have done a separate, non-fiction podcast called Timelapse looking at various films on the topic after all), and there are references big and small to them throughout the series. They also find neat ways to demonstrate the time travel capabilities and paradoxes incurred by the Timepiece in episodes such as Bullet and Consequences, the two-part finale to the first season. Along with the “found tape” nature of the presentation that allows the narrative to unfold, it makes for some truly neat serialized storytelling month in and month out. Then there's the cast because, as excellent as a story is, without characters it doesn't matter. DiMercurio is perfect casting as Sally, the woman from 20[REDACTED] who sets the events of the series in motion, whom has to deal with both being trapped in the past while also trying to find new meaning for her life working at ODAR. DiMercurio is great at going from part of Sally's character to the other, from serious scientist to making flippant pop culture references that no one but her understands (and might never understand). In terms of its characters, Grissom is the heart of ars Paradoxica and it's with DiMercurio's performance that this time travel/thriller firmly anchored in human territory. There is a solid cast of supporting actors as well, all helping DiMercurio in keeping ars Paradoxica anchored. Robin Gabrielli plays fellow scientist Anthony Partridge who starts off as standoffish towards Grissom before becoming a friend and ally. Much the same can be said for Katie Speed as Esther Roberts who has taken on a larger role as the series has gone on. Involved with ODAR operations thus far have been Rob Slotnick as the aforementioned Bill Donovan, Reyn Beeler as Chet Whickman, and Dan Anderson as Hank Cornish who all bring different things to their roles as men helping keeping a secret government organization running. There have also been strong reoccurring and guest actors including Susanna Kavee as Anthony's singer wife, Zach Ehrlich as Jack Wyatt and Arjun Gupta as Nikhil Sharma in a very recent episode. ars Paradoxica makes for intriguing listening for all these reasons. The best part might be that, as a podcast, it's free to listen to via their website, iTunes or whatever service you use to get hold of podcasts. They've also got a strong social media presence which means, as they say at the end of virtually episode “If it's ars Paradoxica, it's probably us.” There's also a Patreon set-up to help support the show for those willing to do so. Before you do that though, give it a listen. If you enjoy time travel tales, thrillers, period pieces, or all of the above (as I do) then you are in for a treat. In a world where it seems like film and TV makers are running out of ideas, ars Paradoxica is just one of the things that prove that original ideas are out there if you're willing to go looking for them.